Getting Ahead of Head Injuries; Early Signs of Concussion. With the end of summer and return to school, the kickoff to fall sports and football season is upon us. While for many this brings thoughts of fall weather and changing leaves, Halloween, and pumpkin themed activities and treats, medical professionals begin to think of sports safety. One of the hottest sports medicine topics for schools, doctors and media outlets over the over the years has become concussion. Football carries the highest risk of concussion, with soccer, lacrosse, basketball, wrestling, softball and volleyball falling close behind. Statistics show that concussion is a very common injury that is sadly NOT commonly recognized and/or reported. It is important to be well informed regarding concussions in order to rule out more serious injury, to prevent long term side effects, facilitate the recovery process, and prevent further damage and injury. Below we have summarized for you what a concussion is, what to do if your child has a head injury, the signs and symptoms of a concussion, and when and how to follow up with your pediatrician. What is a concussion? A concussion is caused by a bump, blow or jolt to the head, but can also occur from a fall or blow to the body that causes the head and brain to move quickly back and forth. A concussion is a type of traumatic brain injury (TBI) that changes the way the brain normally processes and transfers information. 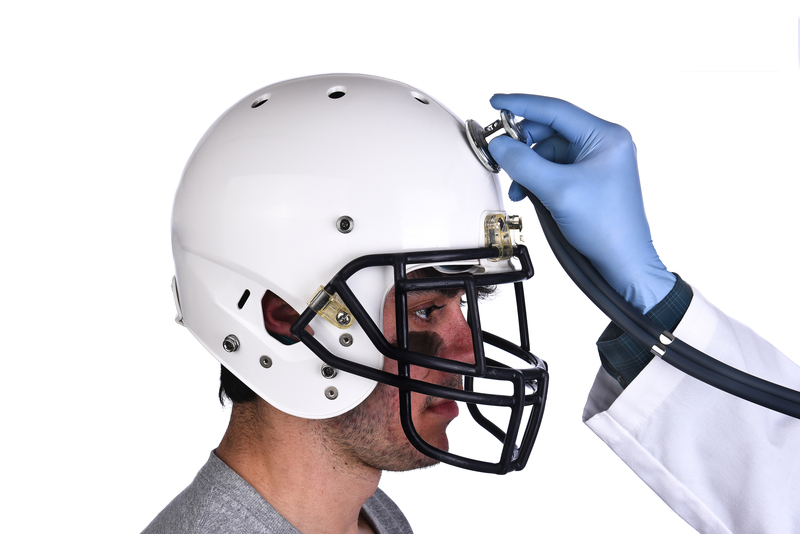 Scans and imaging rarely diagnose a concussion as often there is nothing physically wrong or different with the brain. Health care professionals may describe a concussion as a “mild” brain injury because concussions are usually not life threatening, however the effects of concussion can be more serious on young developing brains. What do I do if my child has a head injury? If your child has a head injury while playing, during practice or a game and it is anything more than a light bump to the head, we recommend that you call us so we can help you assess the child and direct you to where you should be seen next and if your child does need to be seen and where . While waiting to be assessed, we recommend that your child rest and sit out from any physical activities. If you are noticing any of the below red flags of a head injury call 911 or go to the emergency department. Has your child sustained a mild head injury or do you suspect that may have a concussion? Call us at 301 279 6750. Download our FREE concussion handout.